Everett G. Taylor U.S. Air Force, undated. Military serviceman from Kingsley, (Mich.) who served our country, undated. Everett G. Taylor U.S. Air Force, killed 21 February 1945 over Austria. Harold Stinson, undated. Five years old. 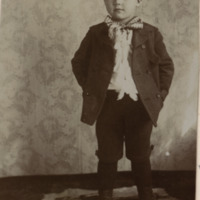 Son of Ambrose Bernside and Eunice (Nickerson) Stinson. 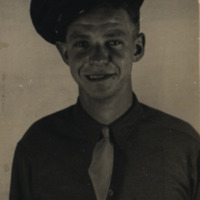 Irwin Mox U.S. Army, 1943. Military serviceman from Kingsley, (Mich.) who served our country, 1943. Irwin Mox U.S. Army. 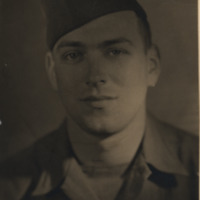 Leonard Taylor U.S. Army, 1942. Military serviceman from Kingsley, (Mich.) who served our country, 1942. Leonard Taylor U.S. Army. Served in Italy and Europe. Awarded Silver Star W. cluster. 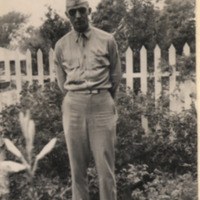 Lt. Steven K. Pierce U.S. Army, undated. Military serviceman from Kingsley, (Mich.) who served our country, undated. Lt. Steven K. Pierce U.S. Army A.N.C. 207 Evac Hospital King Fahd-military med. 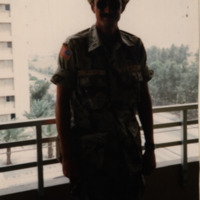 Bn., Dhahran, Saudia Arabia, December 1990 - May 1991. 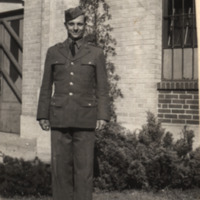 Ralph Pierce U.S. Army, 1943. Military serviceman from Kingsley, (Mich.) who served our country, 1943. Ralph Pierce U.S. Army. .Sgt. Kelly L. Matthews U.S. Army, 25 March 1991. 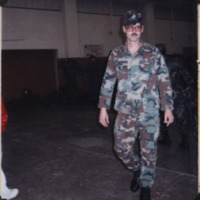 Military serviceman from Kingsley, (Mich.) area who served our country, 25 March 1991. Sgt. Kelly L. Matthews U.S.Army 182nd Transportation unit of T.C. He was killed in Daharan, Saudia Arabia. 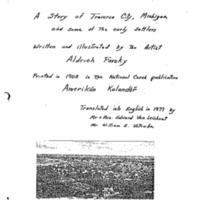 Khalid military city. 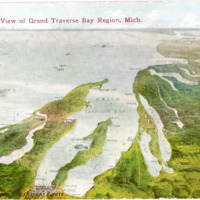 Colored postcard image of Grand Traverse Region; Traverse City appears in the bottom of the image, at the top is the Straits of Mackinac; points of interest including Beaver Island and Little Traverse Bay are labeled throughout the image. 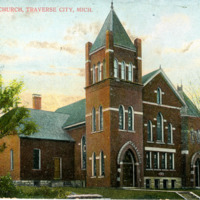 Postcard photograph of First Baptist Church of Traverse City at 244 Washington Street.